What is Penzance famous for? Well for its Pirates, of course. 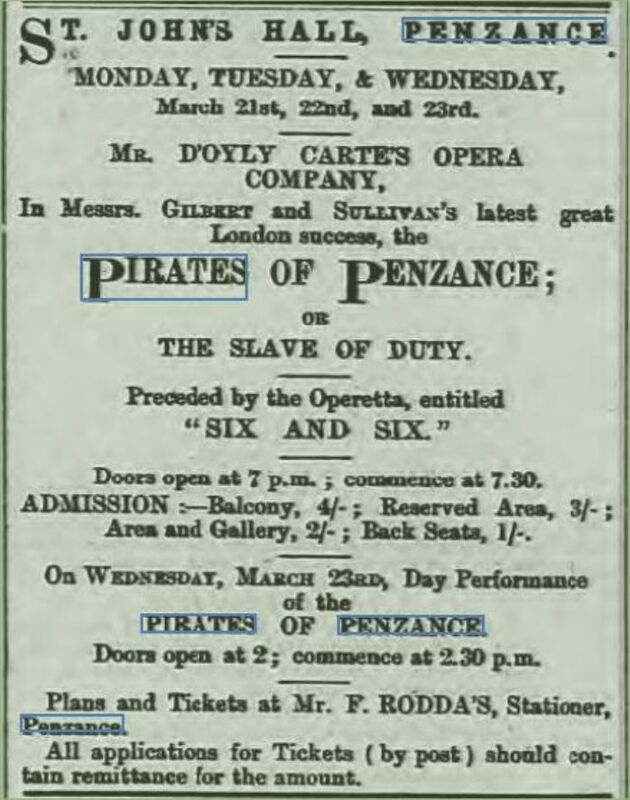 And who were the Pirates of Penzance? It depends. 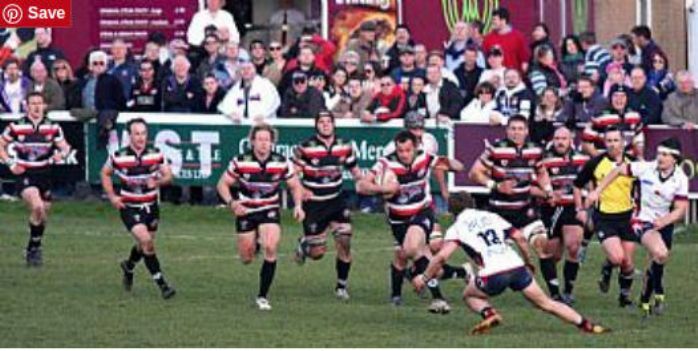 There are the Cornish Pirates, An Vorladron Gernewek, the premier Cornish rugby club. And there's the Pirates on the Prom, Penzance's attempt to regain the Guinness World Records title as the 'Largest Gathering of Pirates', which has twice fallen just a few pirates short of the required total. Genuine pirates – the sort with sharp weapons and firearms – sailed from North Africa and harried the coast of Cornwall for almost 200 years, seizing men, women and children from the inadequately defended ports and taking them into slavery. Raids continued until the early 1800s, after which Penzance became the peaceable seaside resort town that it is today. Sullivan also displayed something of the Pirate-King attitude to the orchestra engaged for the first performance. 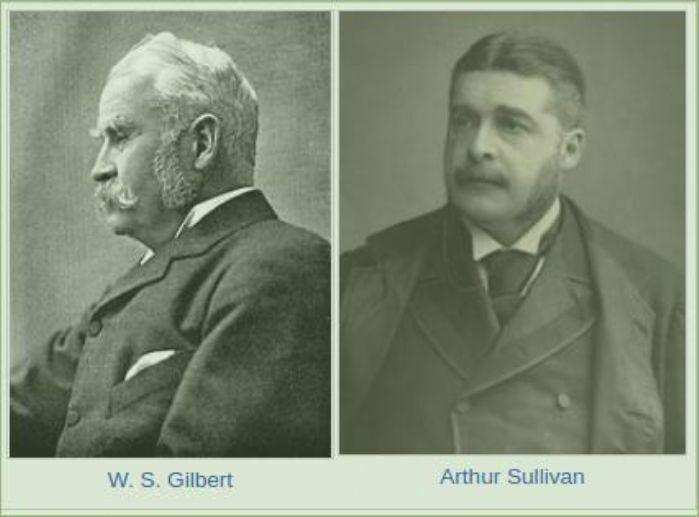 Arthur Sullivan had forgotten to bring the first act of the opera with him to New York, and had to rewrite it as well as finishing Act II. The work was only completed on 29th December, the day before the dress rehearsal, and the orchestra were upset about the late rehearsals and threatened to quit unless they were paid extra. Sullivan bluffed shamelessly, telling them that he would bring another orchestra over from Britain (which would have been completely impossible) who would gladly substitute for them. 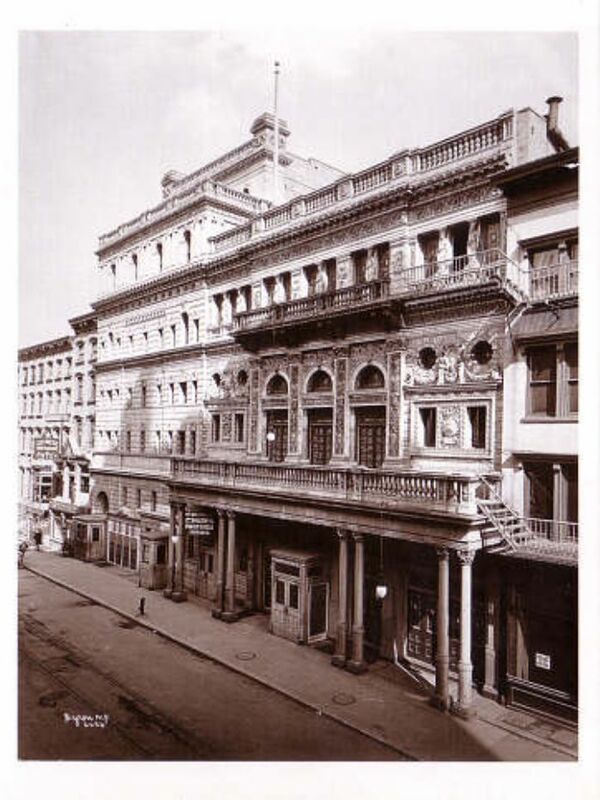 The American musicians backed down, to Sullivan's private relief, and the performance went ahead.